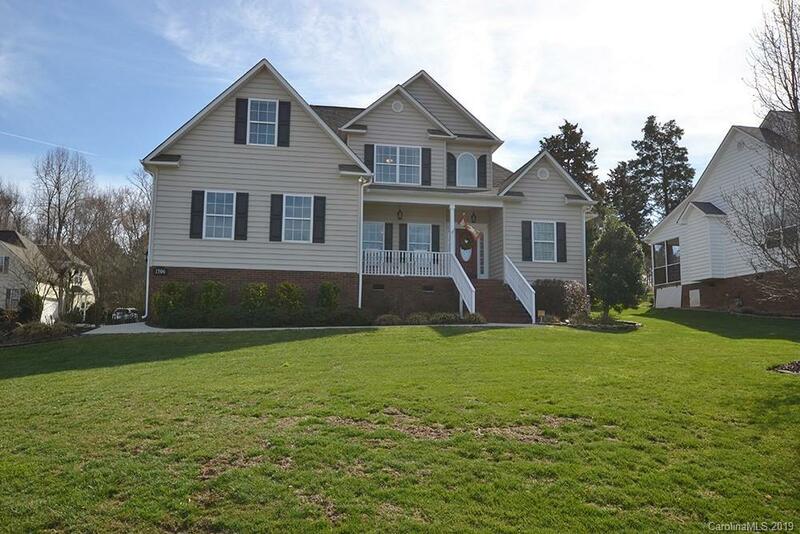 1506 Highcrest Way, Rock Hill, SC.| MLS# 3473110 | Plachecki Home Sales @ Keller Williams Ballantyne | 336-264-8933 | Homes for Sale in South Charlotte including Fort Mill & Rock Hill SC. It will be a pleasure for you to show this pristine home! The seller has added some wonderful upgrades that include new hickory hardwood floors on main level, black aluminum fence, new stainless appliances, freshly painted interior, large AC, crawl space sump system with new liner, water softener system, new garage door and quiet opener and full irrigation. Any buyer would appreciate all of this. Open floor plan for easy flow when entertaining. Granite kitchen has a breakfast bar and eating area, 2-story great room with gas log fireplace. Huge master on main level. Upstairs is host to 3 additional bedrooms and full bath. The 4th bedroom could be used as a bonus room. Beautiful 2-level decking to enjoy the outdoors. Don't let this one pass you by!